We have been back from our round the world jaunt for just over two months now, so it’s about time I filled you in on the last leg of our journey. 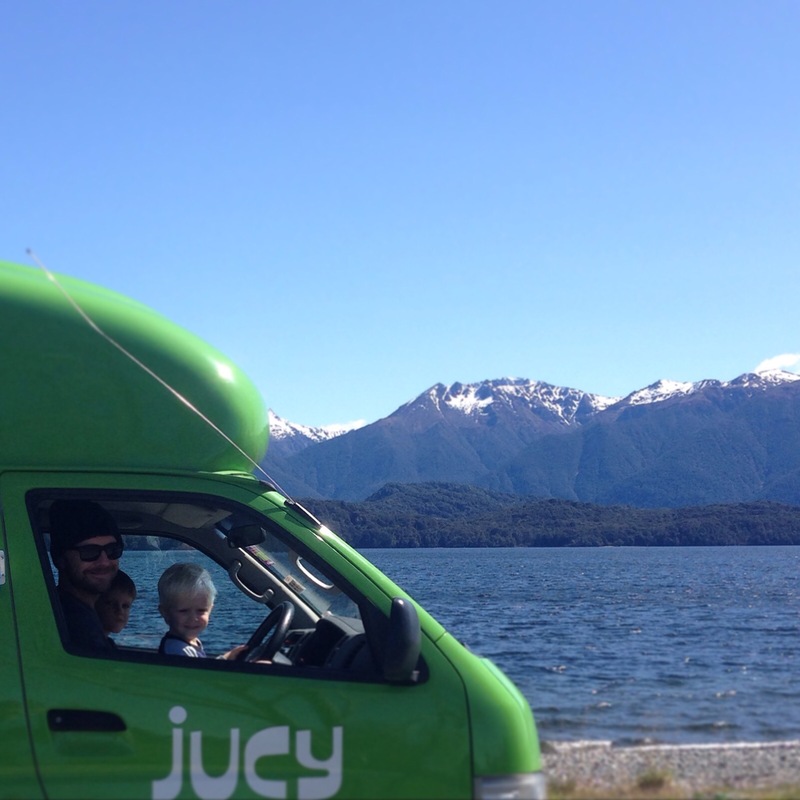 It feels very strange to be writing about camper vanning in New Zealand from my dining table in Brighton but that’s a whole other post. We got our first taste of the quirky Kiwi sense of humour on our Air New Zealand flight from Sydney. The safety briefing video was performed to ‘Men in Black’ by members of the All Blacks (the national rugby team); giving me and Nick a good laugh. 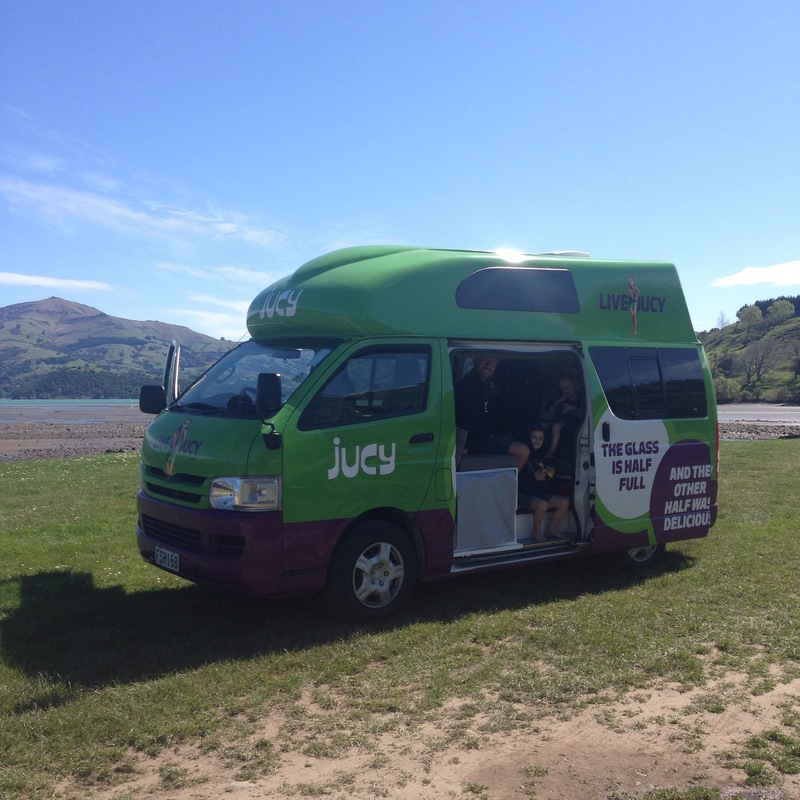 We picked up our Jucy camper van rental at Christchurch airport and were ready to hit the road for intrepid adventure. Our first stop was my friend’s driveway just outside of Christchurch (ahem). Where we enjoyed her hospitality for a couple of days while we got to grips with the van, filled it with food and formulated a plan for our month in New Zealand. Christchurch is still recovering from the devastating earthquake of 2011. The town centre was flattened and our walk around was extremely sobering, not least when we visited a poignant memorial near the temporary cathedral. An installation of 185 chairs, each painted white and donated by a family that lost someone in the earthquake, the baby car seat in particular brought a lump to my throat. We also perused the pop-up shipping container shopping precinct which is helping to fill the void and enjoyed a romp around the Botanical Gardens. Our first true taste of life on the open road was through the gorgeous countryside of Banks Peninsular. Every bend in the road brought a new ‘wow’ from my lips and we had to pull over often to drink in the views. 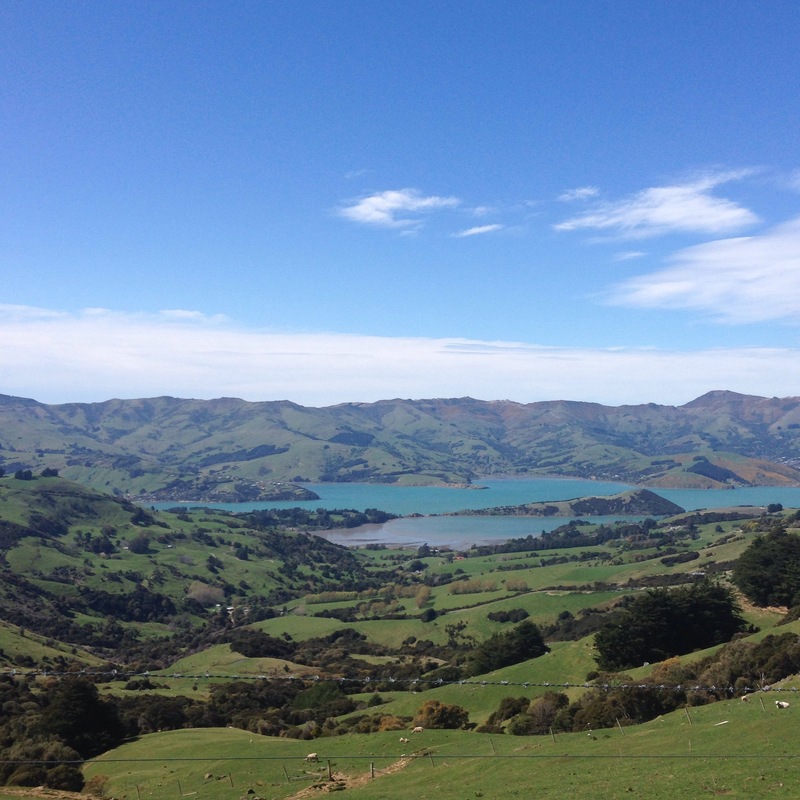 We moseyed around Akaroa, enjoying our first hokey pokey ice-cream and then went in search of our first campsite. We didn’t find it but a helpful local told us we could free-camp anyway. I played on the beach with the boys while Nick made dinner. I felt happy to my very bones. The following days and weeks passed in an eat, drive, sleep, repeat cycle. We used a fab app to find our campsites, varying from free camping to holiday parks when we felt the need for wifi and a shower. It was great to be travelling under our own steam for the first time in nearly a year and we absolutely loved the freedom that having the van gave us. 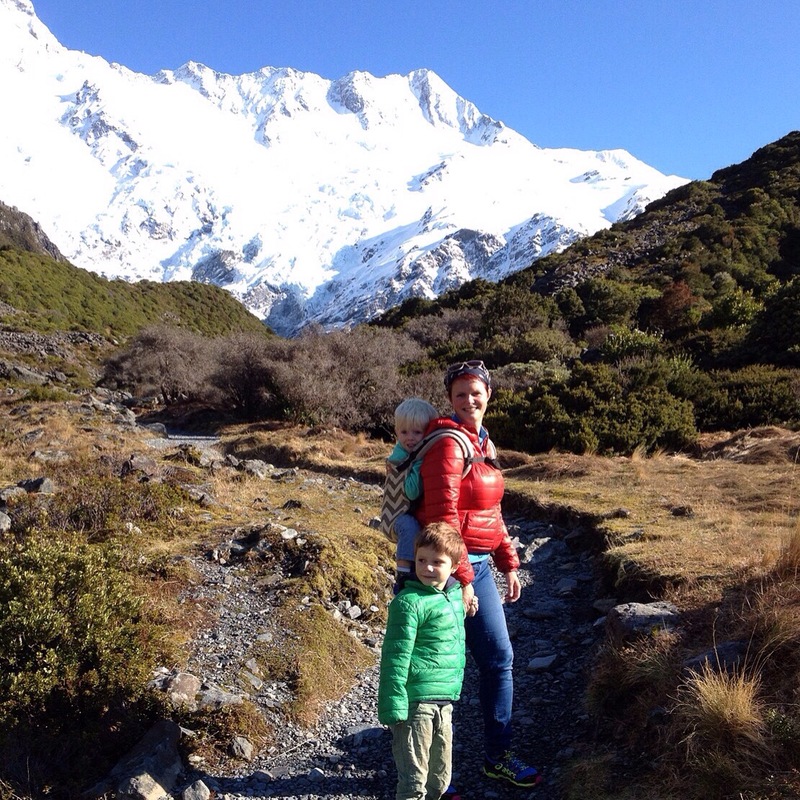 weather at Mount Cook, then were awed by the views when the storm cleared in the morning and we were able to hike. Dunedin kept us all happy with a chocolate factory for the kids and a brewery for the adults. 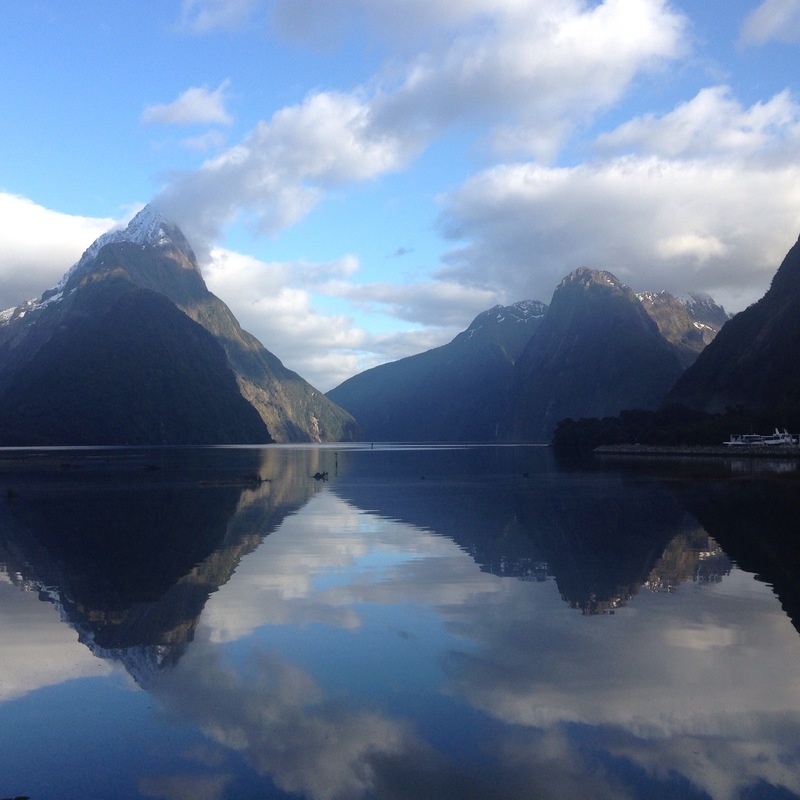 Nick and I were bowled over by the beauty and scale of Milford Sound where the boys were more interested in what was in the cruise’s packed lunch. New Zealand’s wildlife did not disappoint. We had amazing experiences seeing albatross, seals and penguins. Driving one day we saw an eagle soaring away with a rabbit in its claws, but the highlight was our encounter with a majestic sperm whale. Our time on the South Island was running out so we did a silly long drive to get to Kaikoura. Nick woke early and called the whale watch place and was informed they had a boat going in ten mins but there were no guarantees for later trips as the weather was due to change. This therefore could be our only chance. We hot footed it over, getting the boys dressed when we arrived and took food to breakfast on the boat. The sea was very rough and I was glad the boys were seasoned travellers. As our fellow passengers sought seasickness bags, they tucked into peanut butter sarnies. It was all worth it for the 10 minutes we got to spend watching this amazing creature spout from it’s blowhole, fill it’s lungs and dive back below the choppy sea with a flick of its tail. I would also like to mention that the Kiwis certainly know how to do playgrounds right in New Zealand. 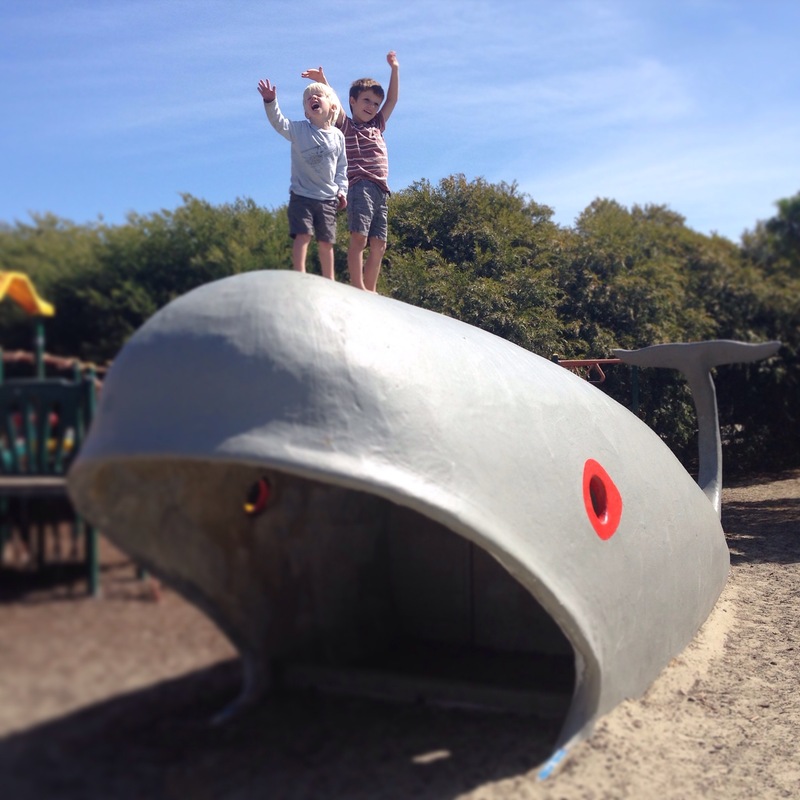 We wiled away many happy hours as the boys clambered, swung and slid on whales, dinosaurs and a steam punk elephant. All with beautiful backdrops of lakes, mountains or coast. There was even a play area on the inter-island ferry which kept the boys entertained for the entirety of the 3 hour crossing from South to North. I would have enjoyed Wellington more, had in not been from the excruciating pain of an infected sandfly bite. Nevertheless, we visited the awesome Te Papa museum and the only Lord of the Rings-related attraction of our time in New Zealand. 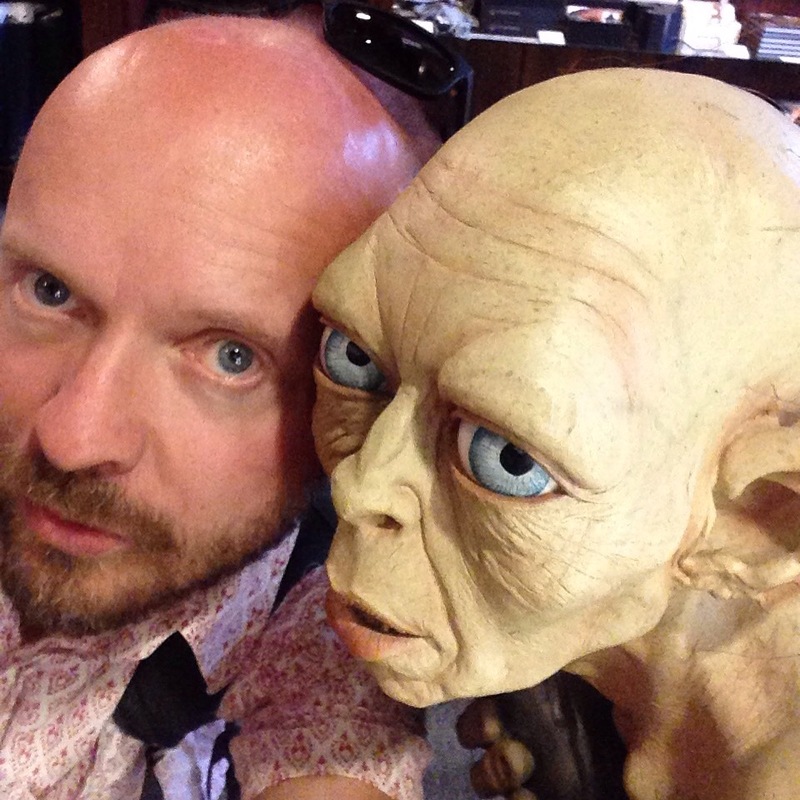 The Weta Cave is the studio of the special effects company behind the movies and location of Nick’s best ever selfie. As we left Wellington we didn’t have much of a plan other than heading North. And after a brief stop to visit New Zealand’s museum of rugby we ended up at our favourite freedom camp of the duration. 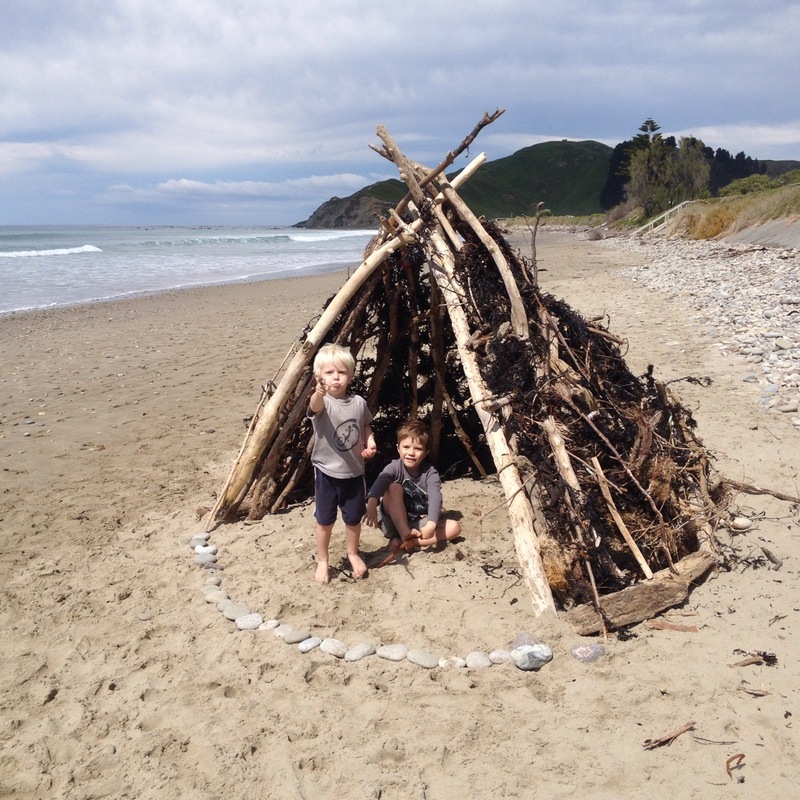 A gorgeous deserted spot by a stunning beach where we had heaps of fun building a den and splashing in the chilly sea. While we were there a school of fish flung themselves out of the water and onto shore. Nick and George went all hunter gatherer and had them for lunch. Next stop was with some friends we’d made in Cambodia. Trevor and Kat happen to run a winery in Hawkes Bay and by happy co-incidence (OK, meticulous planning) they invited us to stay the weekend of my birthday. We had lots of fun, eating, drinking and being merry with them. It was really interesting to get the winery tour and taste the wine direct from the barrels to see how that differs from the finished product. They also took me to their local doctor’s so I could get some antibiotics. The doc had a chuckle with me about the irony of getting ill in New Zealand and not India. We continued North stopping to enjoy the geothermal activity in Rotorua and then onto Coromandel. Where we ate “fush ‘n’ chups” on the beach like real Kiwis. We toured round the peninsular taking in the gorgeous coastline and empty beaches. Our next stop was with some friends of friends who live on their land in a yurt. I’d been following Lucy’s blog for some time and am incredibly inspired by what they are doing; unschooling and simple living. We had a lovely evening round the camp fire and the kids became thick as thieves. Actual thieves. 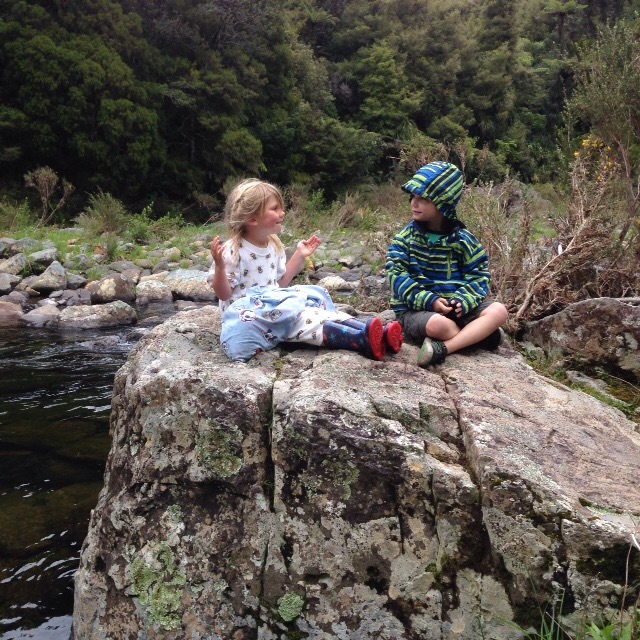 The little monkeys managed to pinch a wedge of cash that nearly ended up in the river when they went for a swim. The time had come to return the van. We tried at the last minute to extend the rental but as it was a bank holiday we were politely informed that we had no chance. Navigating round Auckland’s one-way system resulted in mine and Nick’s biggest ever row. Tempers were frayed as we had to return the tank full of petrol and somehow ended up back on the motorway heading out of town. It was the only time I wished we had hired a sat nav. 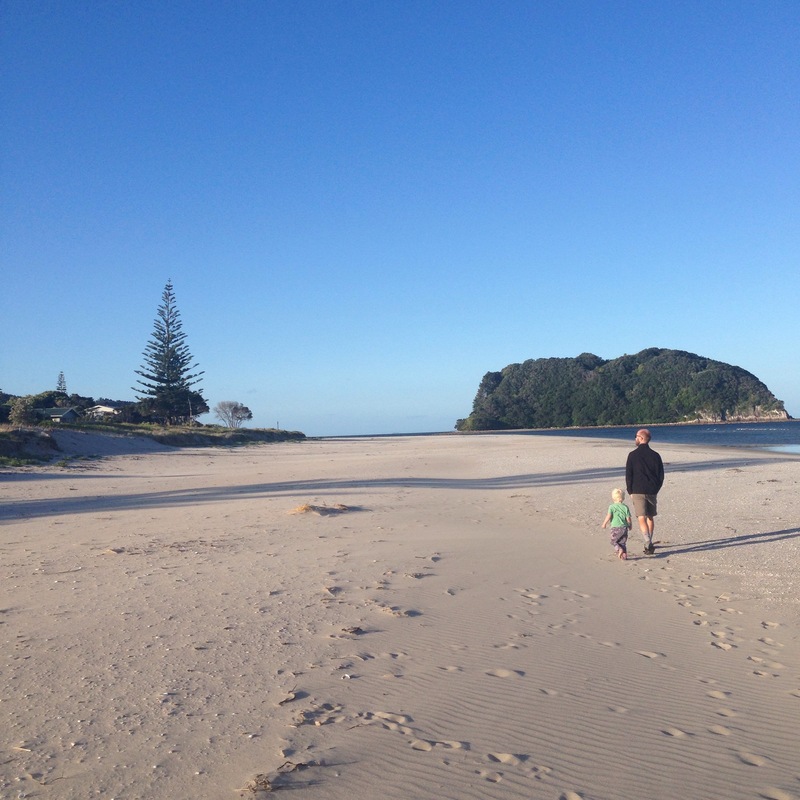 Our last week was spent with some lovely friends and their three boys who moved to Auckland from Brighton. I was apprehensive of how it would go with 5 boys, aged 6 and under all under one roof but they got on like a dream and we were very grateful of Aoife and Steve’s hospitality. 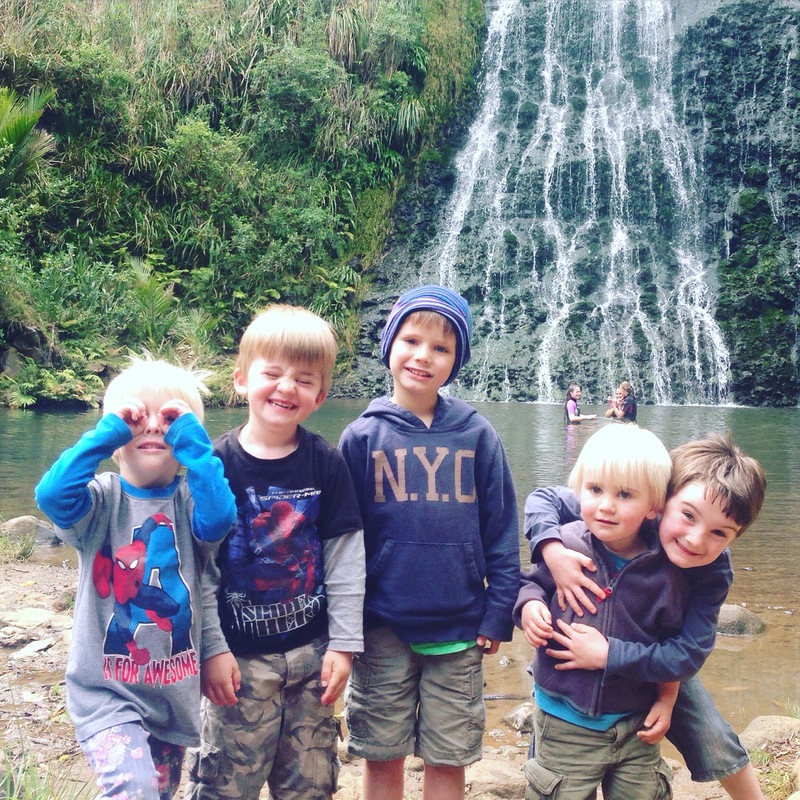 Their place was a great base for exploring the city and on the weekend we all got out into the Waitakere area together. A creeping sense of dread came over me in the last couple of days. I had fallen head over heals for New Zealand and really, really didn’t want to leave. We were lucky enough to spend time with lots of friends; old and new. Including the super siblings of a Brighton friend. And we treasure happy memories from those times. Be they frolicking in streams, bouncing on trampolines, having fun on a vineyard or sharing a meal around the dinner table. The people certainly helped make our time in New Zealand really special. We loved the wide open spaces. We ate kiwi fruit by the bucket load. Affected a Kiwi twang with our speech. And pondered a future in the Land of the Long White Cloud. If it weren’t so bloody far away. From New Zealand there was just one stop left… start spreading the news… New York blog coming soon. Glad you enjoyed it! We’re from Christchurch so it’s always interesting to see how travellers perceive our city and country. Wonderful NZ adventures. So how is being back?